The truth about biking will set you free. The biggest paradox in cycling is that many “common sense” things cyclists do to be safe actually makes them less safe! This is because they don’t understand how most crashes happen. 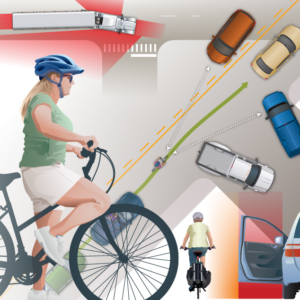 In CyclingSavvy Basics, we show you how those crashes happen, and how to maximize your safety with a handful of smart strategies that virtually eliminate those conflicts. None of this entails riding like Lance Armstrong, or going elbow-to-bumper with cars. It’s just a matter of being able to read traffic patterns, position yourself strategically, and communicate clearly with motorists — all learnable skills that we’ll teach you in this course. After taking this course and its companion, CyclingSavvy Mastery, you’ll have the knowledge and confidence to bike anywhere safely. 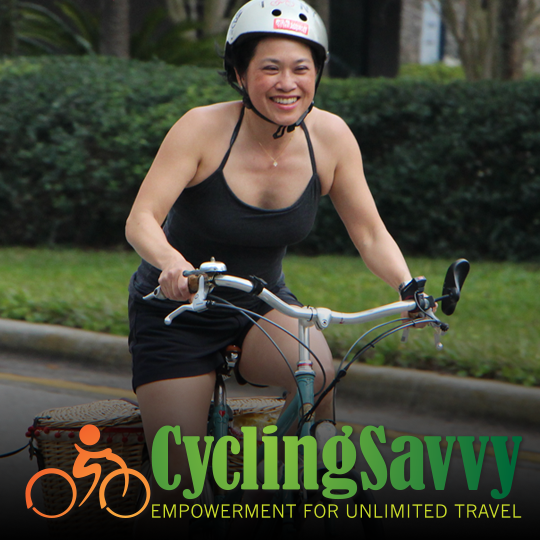 And we daresay you’ll find yourself having a lot more fun, even when biking in traffic! Hi there! Are you logged in? If so, it looks like your membership level does not include this premium course. 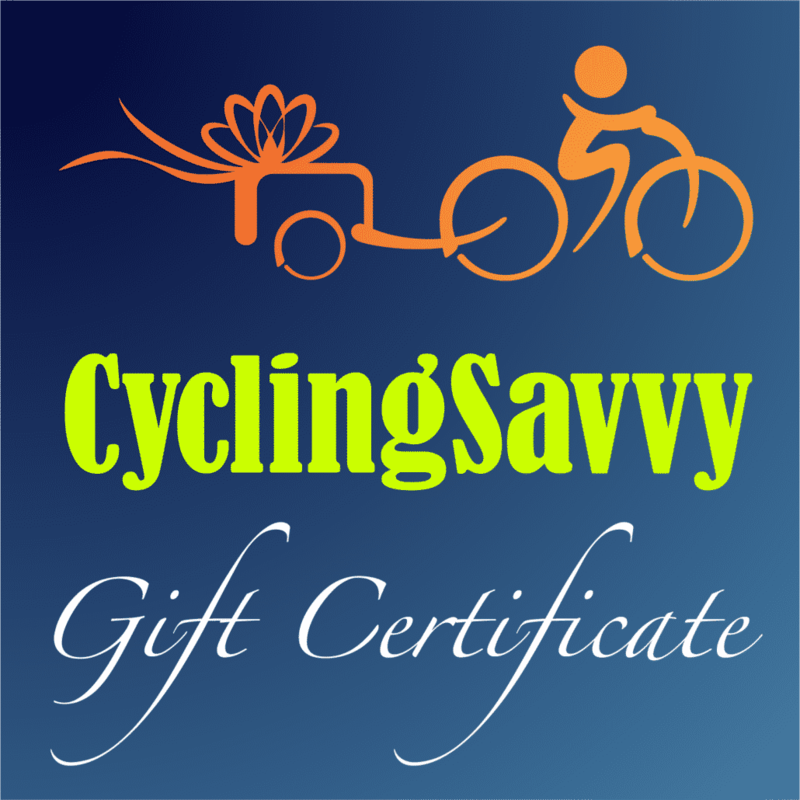 You may purchase this course for $35 with the button below, or upgrade to our Ride Awesome membership plan for access to all of our current and future courses.